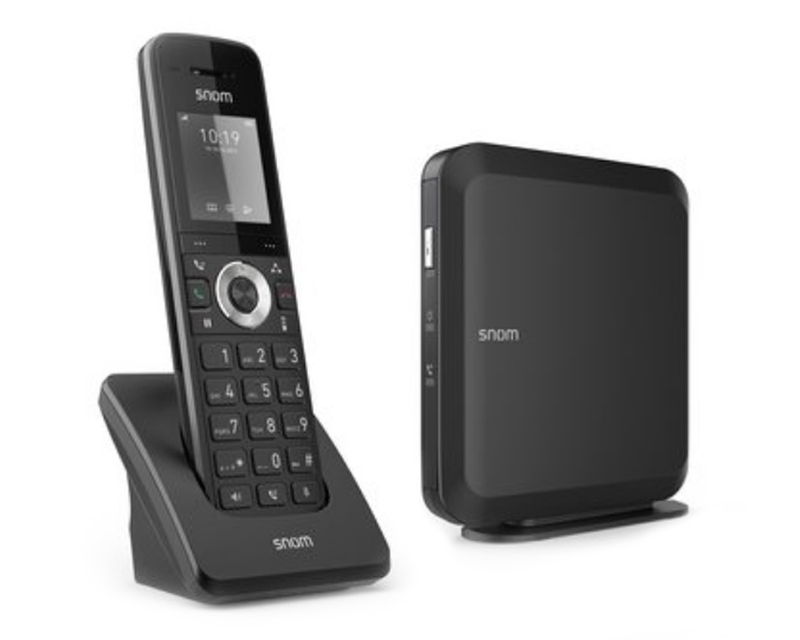 The snom M215 SC combines the high-performance, cordless M15 SC DECT VoIP phone with the modern, scalable M200 SC DECT basestation to create a telephone solution perfect for everyday business needs. M200 SC basestation allows you to connect up to six snom singlecell (SC) cordless handsets. In addition, the M200 SC can manage up to six different SIP identities and four simultaneous calls. To make integration with M15 SC phones easier, the M200 SC basestation can be powered easily using Power over Ethernet (PoE). When first connected to the base, the telephones automatically download the latest software, meaning that all devices are always updated with the same version. 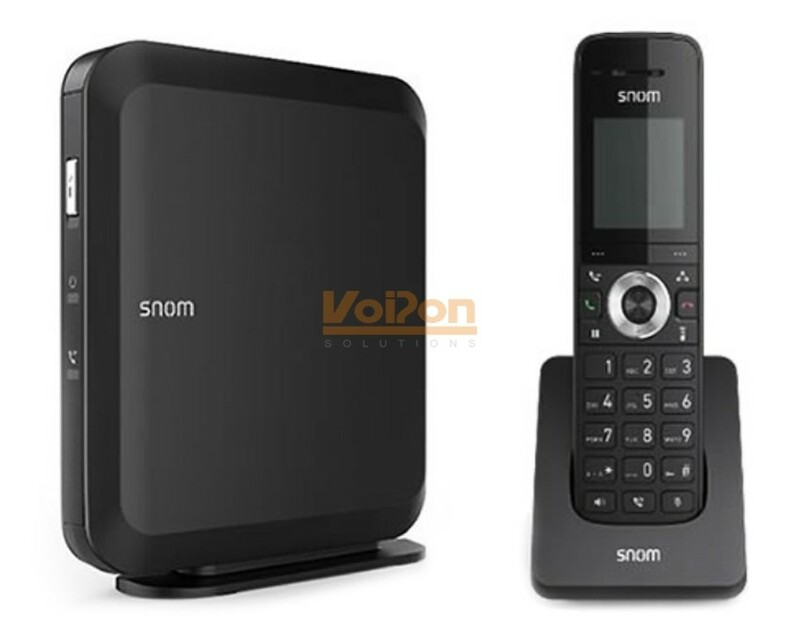 VoIPon - your snom M215 SC: M15 SC DECT Phone and M200 SC Basestation[M215-SC] distributor, supplier, reseller! Get all your wifi at VoIPon! 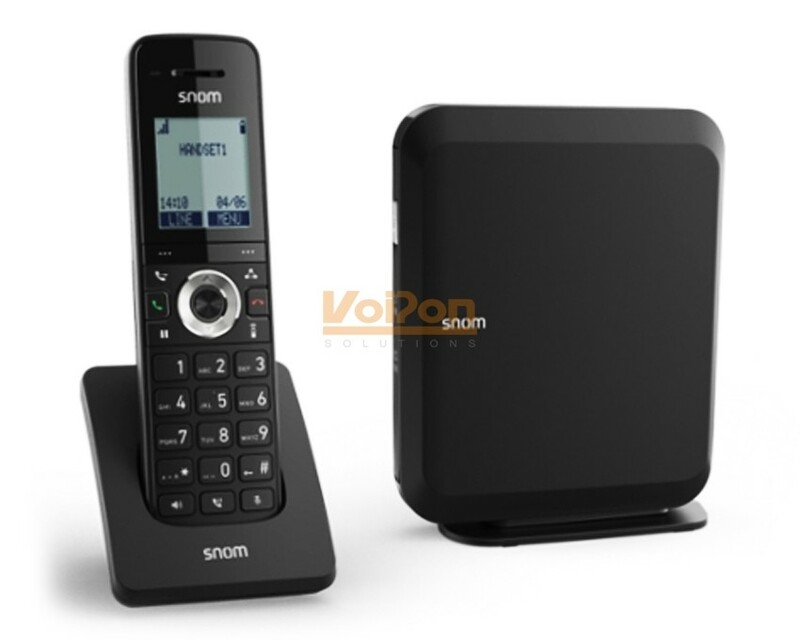 If you would like to be notified when the"snom M215 SC: M15 SC DECT Phone and M200 SC Basestation" is re-stocked, please enter your contact details and we will notify you instantly.